Mounting posters on our 24"x36" restaurant gatorboards printing would be a great attention seeker for your prospective customers. The quality menu boards can tell the customer a lot about the quality of your product. 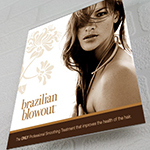 A Display board consists of a backboard which can be in any shape. Several attractive Gator boards can be aligned together to provide an entire customized menu board. 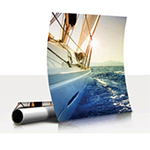 Our custom made ultra board printing are laminated for strength and protection. By creating stunning 18"x24" restaurant gator board printing, your display signs will always capture a crowd. The menu boards help to promote your sales and brand your business. Our custom menu board signs give your customers absolute, efficient product information list that make easy for them to choose instantly. Our Long island printing company is famous in building unique menu boards of different sizes on special rates, you can mount well designed menu board on the walls or hang them by the ceiling. The choice of mounting any poster for a 32"x40" tradeshow gator board printing or having 32"x40" job fair gator board printing exhibit light weight and rigidity. Our gator boards are made of dense polystyrene foam core that has solid wood fiber veneer for added strength. They are a great item of display for your tradeshow whether its a workshop or its a new business proposal to prospective customers, the gatorboards signs are a great way to grab your ustomer's attention and give out your message to a larger crowd.Check out our custom made styrene poster signs they are durable, waterproof and UV safe which make them great for outdoor or indoor use! Gatorfoam Board is lightweight, rigid display board with a polystyrene core on black or white surface. The core is very dense and firm. Consider the possibility of securing advertising through professional menu boards and profits or some other promotions, simply by offering space and time on the business menu board. Your pricing menu board is the first thing each of your customers look for, make impressive menu board by new appearance. Also don't forget to have a glance at our digital 18"x48" backlit display signs printing is recognized globally as a turnkey supplier and most of our menu board systems, signage, and fascia building products. We also design and create all kinds of outdoor 18"x24" display yard signs which are available in custom sizes so that your message is communicated the way you want it to be conveyed! Helped me alot in promoting my business. I ordered a gator board for my first trade show. Came out great! Select Material White Gator Board 1/2"Black Gator Board 1/2"
We provide appreciative, stylish and durable outdoor disply board. 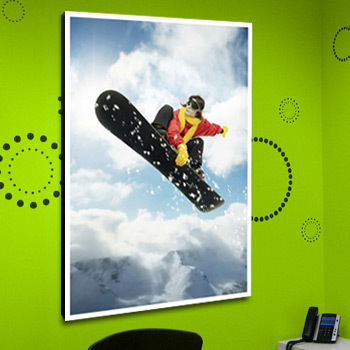 Printing in full color high quality and high resolution (600x600 dpi) direct Print from your custom design electronic artwork (file) on Gator Board using Flatbed printing technology.